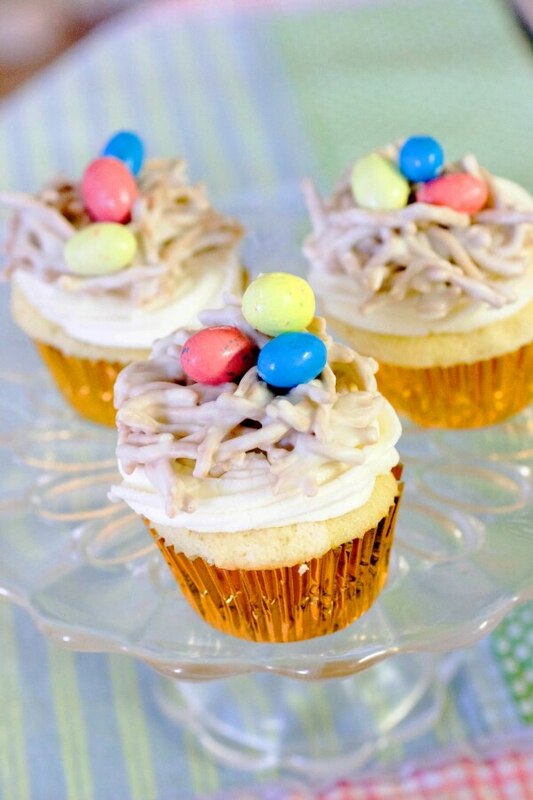 25+ Easter Recipes, Crafts & Ideas for a Hoppy Bunny Day! If you’ve got the lyrics to “Here Comes Peter Cottontail” stuck in your head, you’re not alone. Easter is definitely on its way, and that means spring is here! Between all the delicious food (and candy! 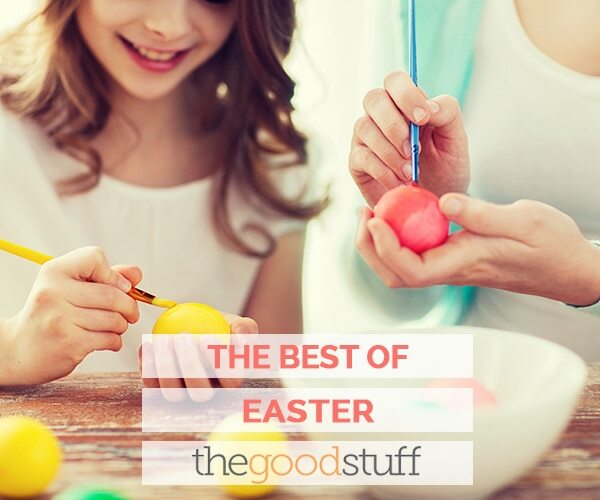 ), egg hunts, and crafts, Easter is the perfect holiday to spend some time with your kids. If yours are a bit too old for Easter egg hunts, why not have them help out in the kitchen as you whip up an Easter dinner menu for your whole family for under $30? 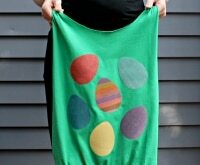 Or, if they’re littles, hide some of these colorful washi tape Easter eggs around your house or yard for them to gather in their handmade Easter basket! If you’re still planning your Easter shindig, check out our favorite Easter ideas here, including dozens of recipes (including what to do with those leftover Easter eggs! 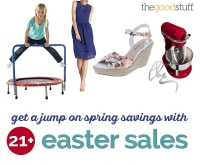 ), fun, hands-on crafts for your kids, and some sweet springtime outfits for your whole family. 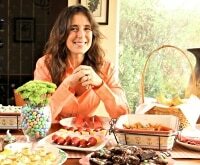 One part of this spring holiday that all ages can enjoy is gathering around a family Easter dinner or Easter brunch. 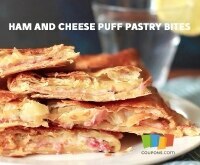 Did you know that you can mix and match traditional Easter dinner recipes to create a menu on a budget? We’ve created a budget Easter dinner menu for 6 that rings up under $30 — or a giant Easter feast for 10 that costs less than $40! You can continue saving those greenbacks by putting your leftovers to good use, too. 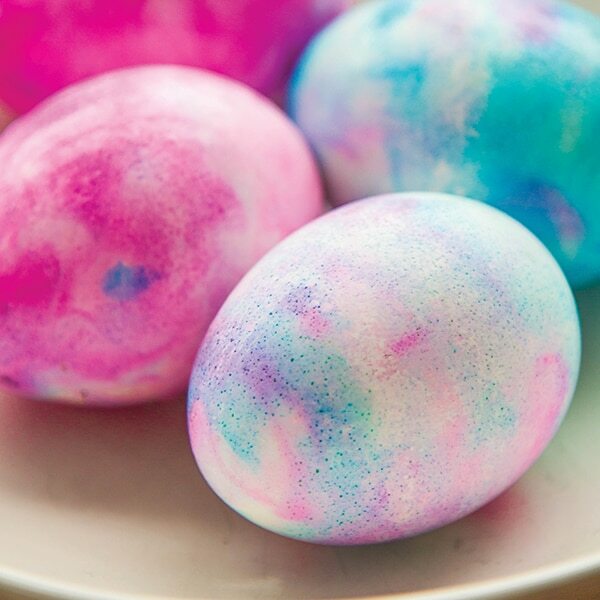 Why not repurpose those beautifully dyed Easter eggs by making them into these delicious hard-boiled egg recipes, or into these easy leftover Easter candy recipes? You Can *Really* Taste the Rainbow With This Peeps Hot Chocolate! Shopping Challenge: Easter Dinner Menu for 6 Under $30! 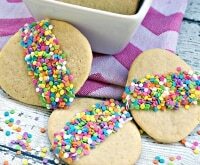 Easy Easter Egg Cookies — with Sprinkles! 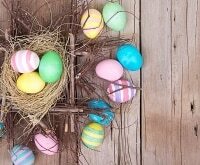 If the weather says an Easter egg hunt is out of the question, why not host one indoors instead? 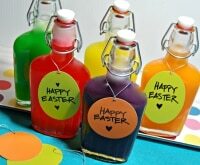 Or, invite your kiddos to help you with one of these easy Easter crafts. Shaving cream can be so fun to play with, and if you add a little food coloring you and your kids can make colorful rainbow Easter eggs — no careful dipping and drying required! 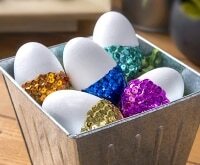 Be sure they have a place to gather their favorite eggs and Easter treats, a DIY Easter basket should do the trick. Easter is the perfect time to snap a family photo to send to their grandparents, too. 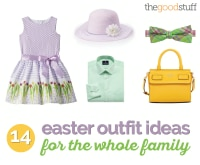 A plethora of pastels will be hitting the stores, so every member of your family can embrace the vibrant colors of spring whether your Easter outfits are all coordinating or not.